Is there a section on the Cornwall FA website with referee contact details? 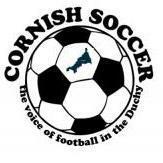 Due to Data Protection, the list has been removed from the Cornwall FA website. Up to date referee details are sent to Club Secretary’s (or/and Team Administrators) when a referee is allocated to a game (this is an automatic function through Full Time). However, I am led to believe that if you require referee contact details, Paul Murphy is the person you need to speak to. To be honest, I was always surprised when they used to have the details available for everyone to see on the old style county website! I caught the end of an article on Radio Cornwall on Laurence Reed's programme and it was the tail end of the segment when I realised it was from the Indy photographer David Flower and he was talking about something like this. Now the pieces have fallen into place.